Resix® is a high-tech, invisible and remarkably high-performance structural assembly process. The frame of Juraparc in Lons Le Saunier shows it well. Our Résix® assembly system was used to assemble beams 38 m long. 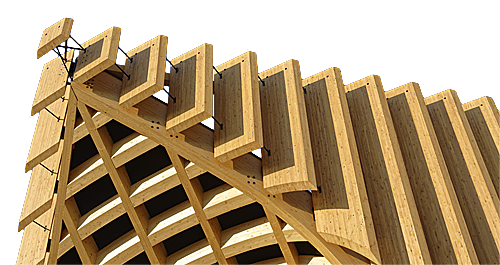 A framework made of glulam with local wood from the forests of the Massif Jurassien.